Stephen isn't comfortable to find out another trainee has a secret agenda on The Tomorrow People. 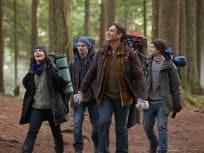 Stephen and his fellow trainees face a challenge to prove they are worthy of being an Ultra agent on The Tomorrow People. Someone takes a bullet when The Tomorrow People returns on January 15th. 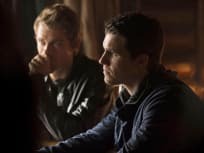 With John in danger, Stephen must decide if he'll risk revealing himself to Ultra in order to save him on The Tomorrow People. 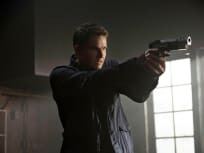 Stephen has a plan that involves getting into Jedikiah's head to find his father on The Tomorrow People. 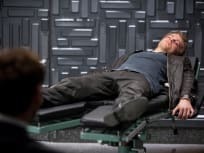 Jedikiah takes extreme measure to make sure Stephen never uses his powers for fun again on The Tomorrow People. 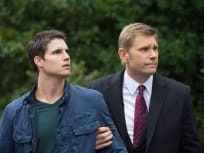 Stephen and Russell find a possible new break-out while out on a night on the town on The Tomorrow People. Jedikiah's boss wants to meet Stephen after he breaks protocol during a training exercise on The Tomorrow People. 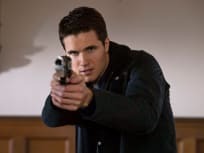 "The Tomorrow People Review: The Truth About John"
On this week's episode of The Tomorrow People, more details about John's past are revealed, including how became a part of Ultra, when another former recruit comes back into town to exact revenge on Jedikiah for ruining his life. 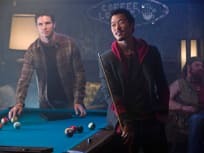 Stephen attends a party on this episode of The Tomorrow People. He then turns to his fellow super friends for help. Dylan: Good luck with the crazy! Stephen: Good luck with the diarrhea. Permalink: Good luck with the crazy! Good luck with the diarrhea. Luca: You slept with Mrs. D'Amico? Stephen: It was an accident. Permalink: You slept with Mrs. D'Amico? It was an accident.